Standup paddle class I-II rivers around Asheville, North carolina! 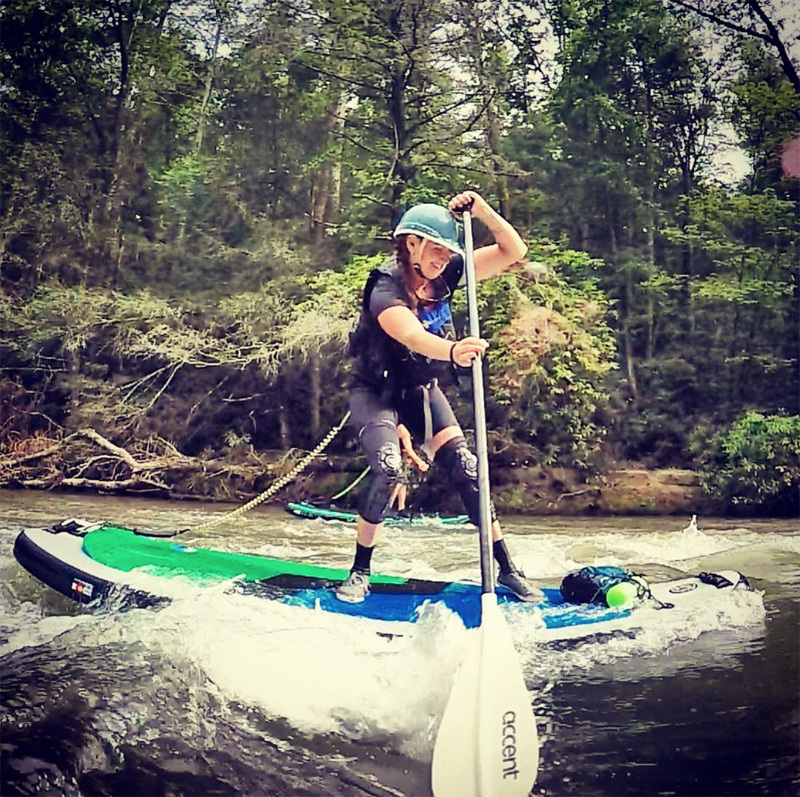 With these small-group, whitewater SUP classes in Asheville, paddlers with experience in flatwater or the ocean can kick the adrenaline up a notch for an Asheville adventure this summer! In the first class you’ll learn basic whitewater technique like reading water, looking for eddies, and being able to use the current to control and navigate your board. If your skills looks solid, then the next day (or later the same day, depending on your schedule), we’ll head to a section of Class I-II river and put your skills to the test. Previous paddling experienced required—call now to line up a class! *Location and timing are dependent upon conditions and paddlers’ experience level.